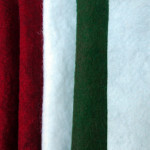 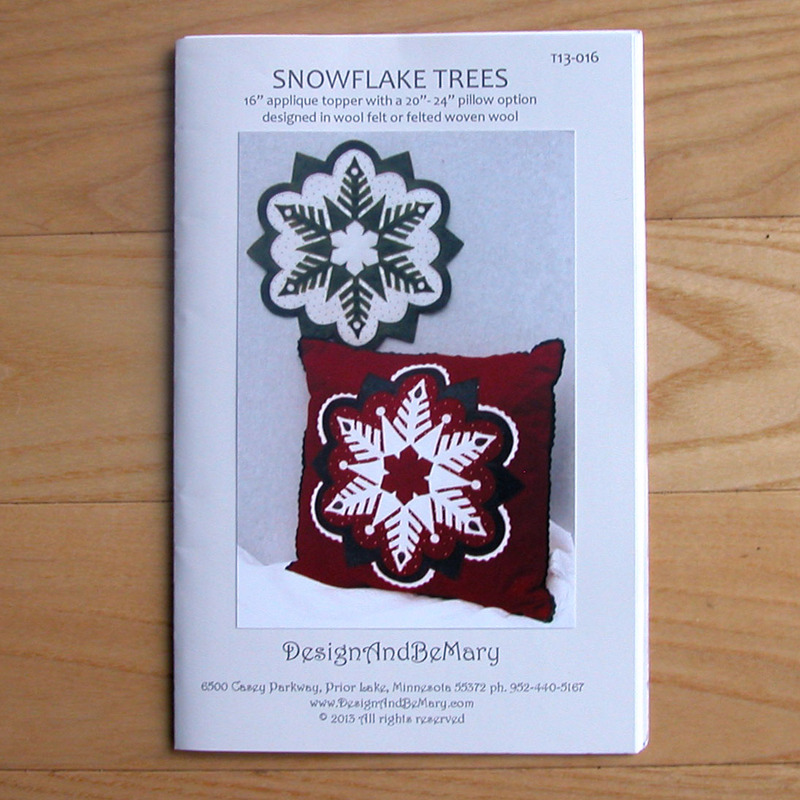 This red and green wool felt kit features the topper version of the Snowflake Trees pattern. 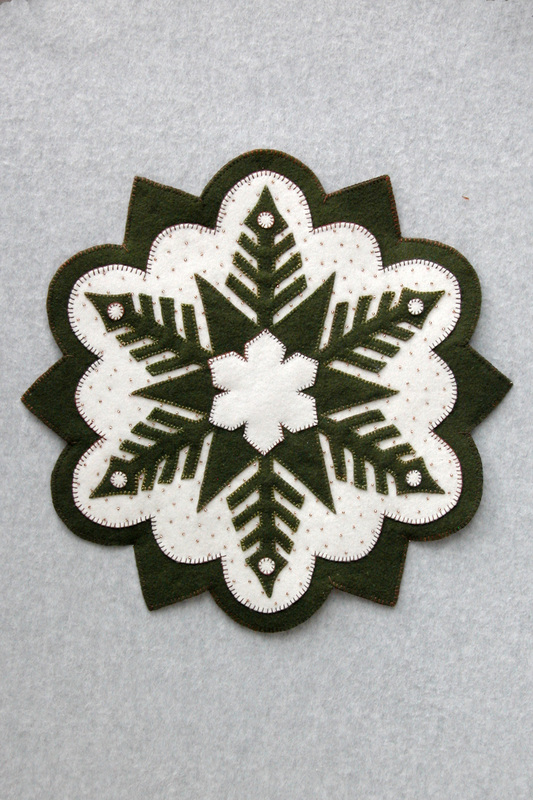 A green tree ‘snowflake’ applique sits on a white background which in turn is appliqued on a heathered Christmas red base/background. 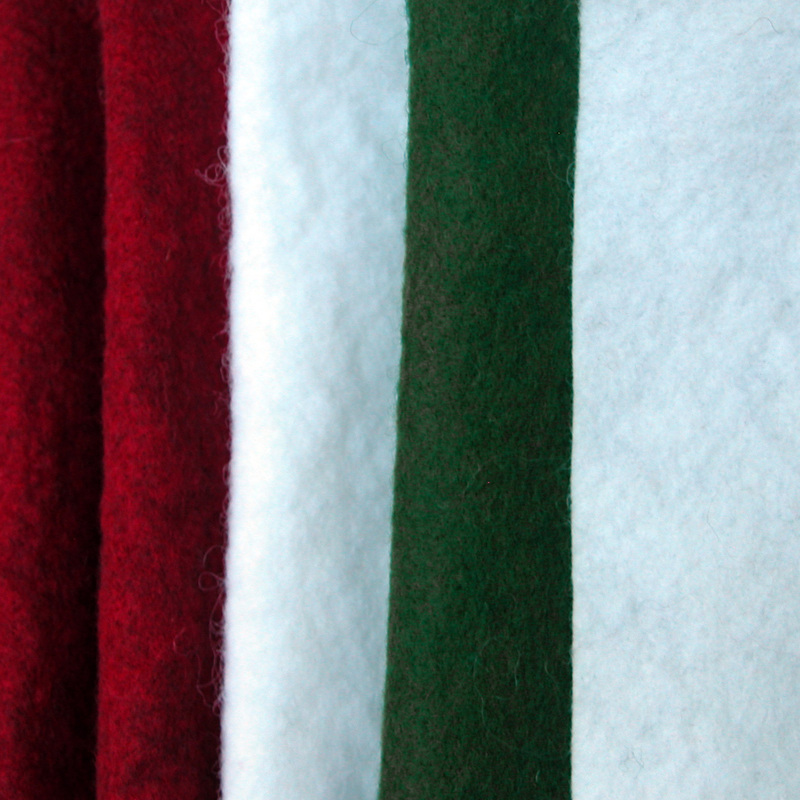 The topper finishes to approximately 16″ round. The kit contains everything needed to complete the Snowflake Trees pattern [T13-016]. 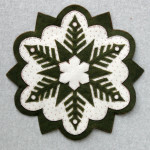 Please note that the photos below include a close up of the topper that was done entirely in greens and white: this photo is simply meant to show the design of the topper. 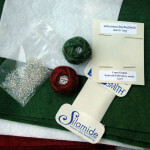 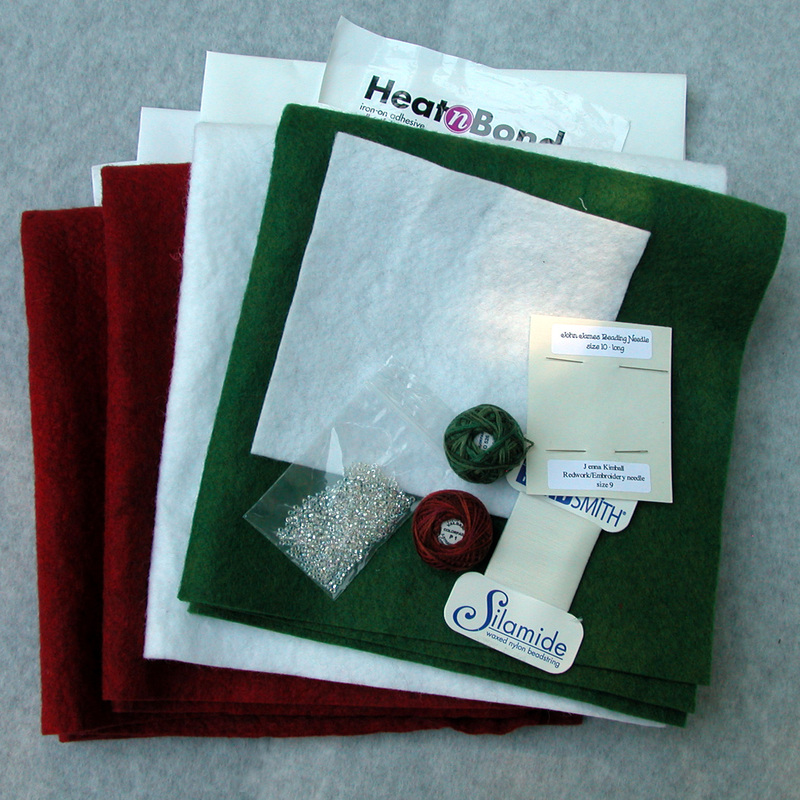 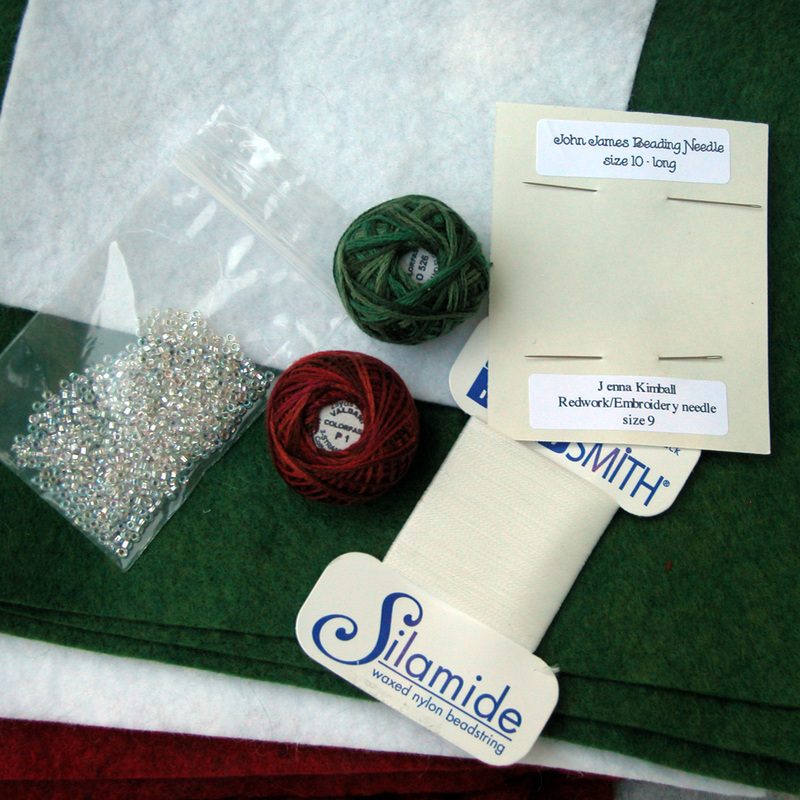 Kit includes: prepared, ready-to-use wool felt blend fabrics by National Non Wovens, freezer paper, HeatNBond Lite(for fusing backing), Valdani threads, Silamide beading thread, embroidery/beading needles, and glass seed beads. 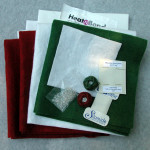 You supply scissors, iron, pencil, pins and any additional fusible that you may choose to use.